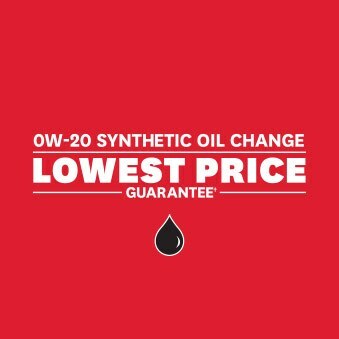 Should you find a lower price for an equivalent 0W-20 full synthetic oil and filter change from any other service centre in Ontario, your Ontario Honda Dealer will match it. When you come in for an oil change, we perform a complimentary light check, adjust tire pressures, inspect items like air filters, hoses, belts inform you of possible fluid leaks, top up your fluids and perform a battery test – it’s not just an oil change. Should you find a lower advertised price within thirty (30) days before or after a qualifying 0W-20 full synthetic oil and filter change at a participating Ontario Honda Dealer, present the Ontario Honda Dealer where you serviced or intend to service your vehicle (with a 0W-20 full synthetic oil and filter change) with proof of the advertised price and they will match the lower price. Offer does not apply to quotes or advertised prices from outside Ontario, advertising errors or misprints, or restricted offers. Qualifying oil and filter changes must be conducted at a participating Ontario Honda Dealer. Advertised item must: (i) be an equivalent 0W-20 full synthetic oil and filter change; (ii) be sold/serviced through an authorized service centre located in Ontario; and (iii) be in Canadian dollars. Lowest Price Guarantee does not include taxes. Some restrictions apply. Offer subject to change or cancellation without notice. Ask your Ontario Honda Dealer for details.